Ralph G. Brockett is Professor in Adult Education, the University of Tennessee, Knoxville, TN. He holds B.A. and M.Ed. degrees from the University of Toledo and a Ph.D. in Adult Education from Syracuse University where he focussed his doctoral research on self-directed learning and initiated an innovative weekend scholar masters in adult education program. A past President of the Commission of Professors of Adult Education, Brockett has also served professorial roles at Syracuse University and Montana State University. He has published widely, including receiving an annual adult education book award. He also served as senior editor of New Directions for Adult and Continuing Education for a number of years. 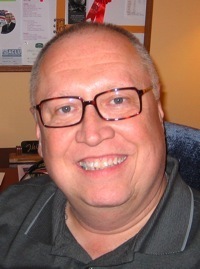 Roger Hiemstra is Professor and Chair, Adult Education, Elmira College. He received his B.S. degree in agricultural economics from Michigan State University (1964), his M.S. degree in extension education from Iowa State University (1967), and his Ph.D. degree in adult community education from the University of Michigan (1970). He was a Mott Intern in the community education program in Flint, Michigan, 1967-68. His longtime interest in community adult education led him to write The Educative Community (1972, last updated in 1993). His interest in adults' potential to assume the primary responsibility for their own learning was the impetus for work on such writing projects as Lifelong Learning (1976), Individualizing Instruction: Making Learning Personal, Empowering, and Successful (with Burt Sisco) (1991), Environments for Effective Adult Learning (1991), Overcoming Resistance to Self-Direction in Learning (with Ralph G. Brockett) (1994). Professional writing: Processes, strategies, and tips for publishing in educational journals (with Ellen Brier) (1994). He has also served as editor of Lifelong Learning: The Adult Years and of the Adult Education Quarterly and was President of the Commission of Professors of Adult Education. He was inducted into the International Adult and Continuing Education Hall of Fame in 2000. He teaches courses on an introduction to adult education, contemporary issues in adult education, research, self-directed and adult learning, and distance education.